In the village of Hrastovlje, near where Slovenia, Italy, and Croatia meet, the Church of the Holy Trinity, above, was first built in the 12th century. 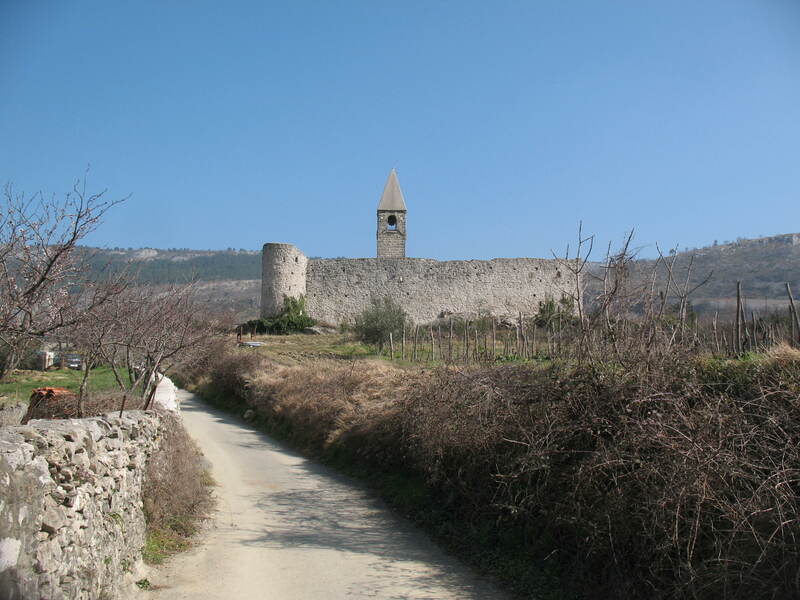 Its defensive wall was added in the early 1500s against Ottoman attacks. In the 1950s, the church caretaker scraped away the whitewash inside and found breathtaking Biblical frescoes dating to 1490. The most impressive and chilling is the Dance Macabre (above, courtesy of Slovenia’s Tourist Board), which depicts humankind–child and adult, pauper and rich man–making a slow but steady march to the grave. Photography isn’t permitted inside, but this virtual tour is worth a visit.